You know you’re ready to do something different. You just want the bare bones to creating optimal health and happiness. This is the program for you. Receive high quality coaching in this 6-week program to learn the basics of the rewiring the brain process and get guidance and accountability to transform your health and heart. Are you tired of feeling pressed for time, wanting to find relaxation and stillness? Don’t let a busy life stop you from finding your center. You’ll feel like you’re on the path to relaxation and contentment, and you’ll be confident that you have the tools to walk this new path. You feel uncertain, unproductive and scared – and feel like you don’t have time to do anything about it. You feel stuck and in limbo, like you are two different people, and you don’t trust yourself. You’re not sleeping enough and are having a hard time concentrating. You can’t relax. You feel like you don’t have direction for the future – like you’re floating through life right now. You feel a complete inability to move forward. You feel stuck and you don’t want to be stuck. Let’s finally make relaxation and stillness a reality for you so that you can break through the self doubt and tune into your intuition. 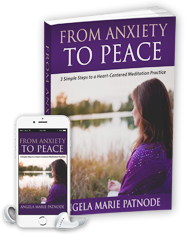 I work with heart-centered, soul seeking people like you who are ready to break free from anxiety, inner conflict, and stuck feelings to unlock their inner peace, self-trust, and passion for life. If this speaks to you, then you’re in the right place! It’s time to leave anxiety behind. Make “feeling stuck” a thing of the past. My 6-week Find Your Center Quick Start Program to help you move from inner conflict to inner peace. It’s a coaching program that is completely customized to your needs to help you go from where you are now to where you want to be. Interested, but want to get to know me and how I work? Is this Find Your Center Quick Start Program right for me? I would love to help you go from where you are now to where you want to be. But I have a secret to tell you…this kind of change is not a “one pill wonder.” It takes time. And it’s completely worth it. If you commit to the journey, I commit to being the best coach and mentor I can be by providing you with tools and by holding you accountable for creating peace and clarity in your heart and in your life. Interested in working together, but not sure which program is the best fit for you? No problem, we can talk about it during your Peace and Clarity Breakthrough Session. Your information is private and will never be shared with anyone.